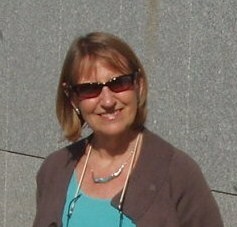 Dr Marshall is internationally recognised as a leading researcher in the field of castle studies. She combines her skills as a buildings archaeologist, historian and architectural historian to interpret our ancestors’ built environment and her love of the subject encompasses the ancient world right up to the modern. Although the scope of her publications extend into the seventeenth century, her particular specialism is in the field of European Castle Studies where her research, particularly in Britain and France, is most valued by the academic community. A practical researcher in her professional life, she combined the role of surveyor, recorder and interpreter with that of educator; her many years of teaching were, for the most part, spent at the University of Nottingham. For fourteen years she was Chair of the British Castle Studies Group whilst also serving as GB representative on the foremost international body for European castle studies, Chateau Gaillard. She has appeared as an expert on several TV programmes. Now semi-retired, she continues to follow her research interests, regularly gives papers at international conferences and her substantial body of academic publications is still expanding. It is the past use and social context of historic buildings that fascinate her. They merge history and aesthetics with structure and practicality, opening a window for us on the experience of past lives – something thrilling that Pamela loves to impart and share with others.